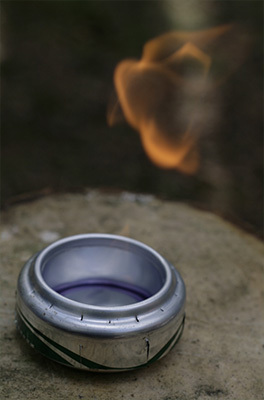 There are many camping stoves on the market today using fuels ranging from hexamine to gasoline. My personal criteria for choosing a good stove are light weight, availability of fuel and simplicity. You may notice high speed does not enter into my decision making at all on this. I like to take my time cooking so slow heat is much more useful for my needs. The other problem is fast stoves also tend to be complicated in construction. That’s OK if you’re 10 minutes from a camping shop when it breaks down but that doesn’t suit me. If I can’t use natural fuel, my usual choice is denatured alcohol or hexamine blocks depending on how light I’m travelling. I’ve tried many different brands of stove but I tend to use a combination of components from different stoves for the best result. 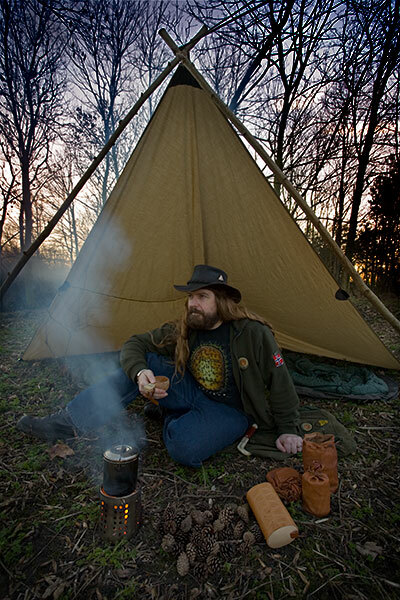 The picture above shows my Hobo Stove in use, notice it is placed on bare rock and I normally keep a cup of water ready to extinguish any stray flames or embers. 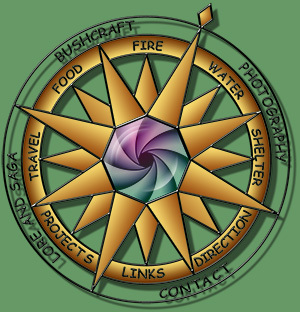 If I am using a stove in the wilderness it is most often because there is a fire risk that prevents me lighting an open fire. This could mean dry conditions, close woodland or very importantly, peat. Using a stove does not entirely remove the risk in such places so a little care is still called for. Ideally I set up my stove on rock or bare earth. If this cannot be found brush away dry surface materials down to earth or damp ground. Be prepared to use some of your water to wet this down further. Many stoves create enough heat to dry the ground and ignite loose leaf litter. a cup of water kept handy can prevent this becoming a problem. 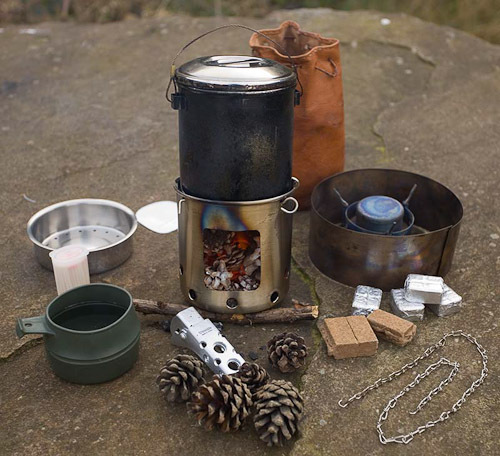 One of my old favourite stoves is a simple “Hobo stove” made from a cutlery stand that can be used with whatever natural fuels are available. Winter conditions often require the use of a stove to melt ice or snow and I find a hobo stove with an alcohol burner is ideal for this job too. Of course the other important reason sometimes to not light a fire is that it may leave unacceptable traces in an otherwise pristine environment. For the same reason disturbed ground should also be replaced after using a stove. there should be no sign that you have been there when you leave a site and this includes not leaving food scraps and litter all over the place. If it was light enough to bring with you then take it home too. You can see my current hobo stove set in the projects section.